The Addison Gallery's collection of American art is one of the most comprehensive in the world, including more than 20,000 objects spanning the 18th century to the present. In a typical year, the Addison presents approximately twelve shows, including both permanent collection installations and major traveling exhibitions, carefully balanced to represent a wide range of art, across time and media. 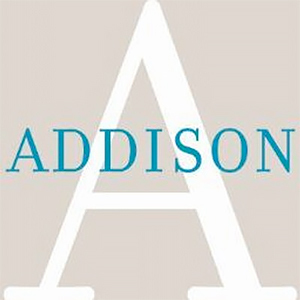 The Addison has also organized numerous nationally touring exhibitions, including shows such as American Vanguards: Graham, Davis, Gorky, de Kooning and Their Circle, 1927 - 1942 and Coming of Age, as well as retrospectives dedicated to artists such as John Marin, Sheila Hicks, William Wegman, Trisha Brown, Carroll Dunham, Wendy Ewald, Terry Winters, and Richard Stanciewicz. The Addison is committed to serving the public through free admission and an education outreach program that reaches diverse audiences, including teachers, students from pre-kindergarten through grade 12, and adults. 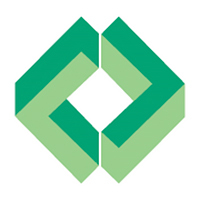 All Addison education programs are offered free of charge. The Addison's Museum Learning Center, in the new Sidney R. Knafel Wing, offers a flexible classroom and exhibition space that makes the entire collection accessible for programs tailored to the specific interests of individual groups. In addition to classes in art and art history, the Addison's collection lends itself to use by history, math, and science classes. In addition to reference books, we specialize in rare illustrated books of art-historical interest, from sixteenth-century architectural treatises and baroque festivities books, through classic livres d'artiste of Manet, Picasso and Matisse, and all aspects of the modern avant-garde, from dada and surrealism, futurism, and constructivism, to pop, fluxus, conceptualism, and contemporary artists books. 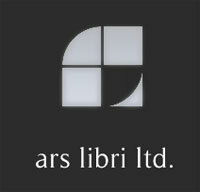 As well as books, Ars Libri offers exhibition catalogues and art periodicals of all kinds, in all languages. We publish catalogues of our stock regularly, and are glad to send them on request, free of charge. We are also happy to receive want lists, and will notify our clients of newly arrived material which may be of interest to them. Our store in Boston is open without appointment, six days a week, and features changing displays of rare books, manuscripts, master drawings, modern prints, and other works of art. Committed to showing work being done in the field of photography, The Garner Center exists to promote a broader understanding, appreciation and celebration of the medium. The Garner Center is named after Lisa Garner—a beloved member of the NESOP community who passed away at the age of forty-four on Tuesday, March 25, 2008. Lisa was a 1987 graduate of the NESOP Applied Photography Program and a dear friend of the school. The long-time NESOP Gallery One manager, Lisa was the driving force behind securing a Keith Carter exhibition, which helped to put NESOP's exhibition space on the map in Boston. Lisa’s love of photography and her ability to communicate so eloquently through images is the embodiment of the shared passion and purpose of so many coming through NESOP. An accomplished photographer, Lisa touched people with her images as deeply as she did with her character. We miss Lisa's hearty laugh and her spirit dearly, but it resonates deeply within each of us fortunate enough to have been touched by it. It seems fitting that a NESOP space committed to showing photography—a space she helped nurture and promote—be dedicated in her name. This gesture is made with love and respect for Lisa Garner and the imprint she has left on NESOP and the world. Khaki is a gallery of contemporary art - presenting works by Nahid Khaki and the best of emerging artists worldwide. Lanoue Fine Art is a full service gallery. To facilitate your art collecting experience, we offer the following services: Collection Development and Curation, On-site Consultation, Virtual Previews TM, International Sourcing, Custom Framing, Worldwide Shipping and short-term art rentals. Opened in 2016, The Leica Gallery Boston strives to bring world-class art to the residents and visitors of Boston, following Leica's long tradition of excellence and commitment to quality in cameras, lenses, and photojournalism. 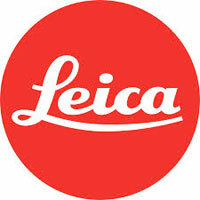 By curating exhibits from world-famous photographers and hosting special engagements with featured artists, as well as offering the immensely popular Leica Akademie workshops for one-of-a-kind, immersive experiences, Leica Gallery Boston provides unique and eye-opening programming to further this mission. Miller Yezerski Gallery is one of the most highly respected contemporary art galleries in Boston, MA with decades of experience in the art market. The gallery is located in a premier space in the SoWA section of the South End and is the joint venture of longtime gallerists Ellen Miller and Howard Yezerski. 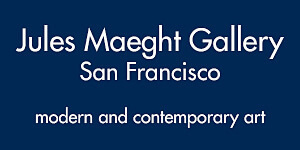 Their combined stable of artists includes such notable figures as Laylah Ali, Rona Pondick, Lalla Essaydi and John O’Reilly whose photography, painting, sculpture, installations, and multimedia work have been widely exhibited including the Whitney Biennial, The Museum of Contemporary Art in Los Angeles, The Venice Biennale, MoMA, and the Museum of Fine Arts in Boston. Panopticon Gallery, (est. 1971) is one of the oldest fine art photography galleries in the United States specializing in contemporary, modern and vintage photography. 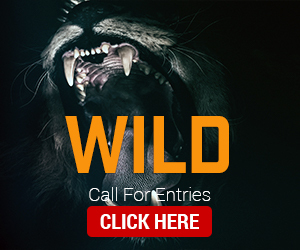 We represent established and emerging photographers with a primary focus on developing and expanding their careers. 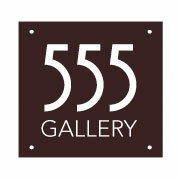 The gallery regularly assists collectors in buying, selling and locating photographs and supports local educational institutions, regional art museums and estates. Panopticon Gallery is located inside the Hotel Commonwealth in Boston, Massachusetts. Jason Landry brings over twenty years of business management and photography experience to the gallery. Prior to taking over the gallery in early 2010, he worked at the Photographic Resource Center at Boston University in various capacities and was a member of their Board of Directors. 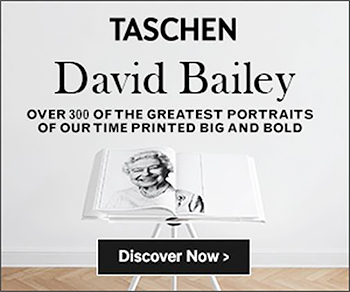 In keeping with the galleries core focus, Landry regularly attends portfolio review events and photography art fairs both nationally and internationally, has juried group exhibitions, and has lectured at regional and national art colleges and universities. 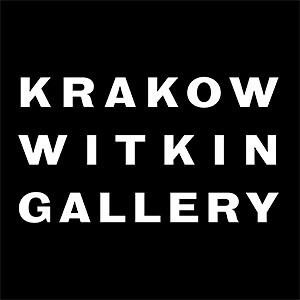 The Robert Klein Gallery was established in 1980 and ranks among the world's most prestigious showrooms of fine art photography. Robert Klein opened his Newbury Street space with early exhibitions of Diane Arbus, Annie Leibovitz, Sally Mann, and Hiroshi Sugimoto. From 1995 through 2008, Robert served as President of the Board of Directors of the Association of International Photography Art Dealers (AIPAD). During his tenure, Robert engineered the 2006 expansion of The AIPAD Photography Show New York to the Park Avenue Armory. The AIPAD Photography Show's move firmly established it as one of the leading photographic fairs in the world. Robert continues to serve on AIPAD's Board of Directors. The Robert Klein Gallery maintains an extensive and ever-changing inventory of 19th century, 20th century, and contemporary photographs. 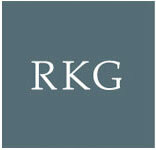 Participating in international art fairs such as Paris Photo, Art Miami, and The AIPAD Photography Show in New York, the Robert Klein Gallery provides its contemporary artists with international exposure while exhibiting works by recognized masters such as Ansel Adams, Helen Levitt, and Irving Penn. With 40 combined years of experience and a profound knowledge base, the gallery staff is committed to serving as a resource for both novice and seasoned collectors. Tepper Takayama Fine Arts specializes in post World War II through 21st century photography, including documentary, narrative, conceptual, semi-abstract and abstract imagery. The gallery collaborates with an international roster of photographers representing a variety of techniques ranging from traditional platinum and gelatin silver prints, mixed media and digitally processed works. Services include curatorial and collections assistance, multilingual consulting and research assistance in English, French, Greek, Italian, Japanese, Portuguese, and Spanish as well as writing, translating and editing of art-related descriptive and critical material.  A selection of hard to find books by or about gallery artists is available. 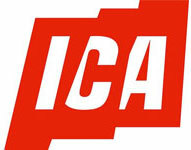 To provide our visitors with broader and more lasting experiences, the ICA made the pivotal decision in 2000 to start collecting. The core of the museum's collection is work by contemporary artists featured in ICA exhibitions, many at seminal moments in their careers. A diverse overview of national and international artworks in a range of styles and media, the collection represents the very best art being made today and provides an important resource for contemporary culture in Boston. The ICA welcomes a rotation in its permanent collection, now with an added emphasis on photography and portraiture. 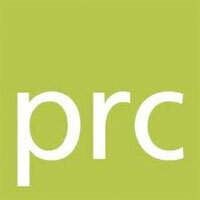 The Photographic Resource Center (PRC) is a vital forum for the exploration, interpretation, and celebration of new work, ideas, and methods in photography. We inspire our members and the broader community with thought-provoking exhibits, educational programs, and resources that support the advancement of the photographic arts. 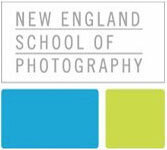 New England's Center for Photography Founded in 1976, the Photographic Resource Center (PRC) is an independent 501(c)(3) non-profit organization located on the campus of Boston University. Cited by the Boston Globe as "one-stop shopping for the photo buff," the PRC provides its members and the general public with thought-provoking exhibitions; distinctive education programs; wide-ranging resources; and unique special events. Forged within the heart of the artistic community Jamaica Plain, the UFORGE Gallery is an all inclusive fine art gallery in Boston. UFORGE launched in 2011 by Boston artists, Brian Crete (painter) and Rob Festa (photographer) with the belief that everyone has the right to show their creativity without worrying about cost or having an “expert” artistic ability. UFORGE began as a locally grown concept in 2010: dedicating a space within the community that allows artists to create new artwork and grow beyond their artistic comfort zones. YellowKorner was created in 2006 by two friends, Alexandre de Metz and Paul-Antoine Briat, both lovers of photography from a young age. The YellowKorner concept is very simple: to introduce the greatest photographers from all over the world and to increase the number of copies of their work to make it accessible to as many collectors as possible. So, instead of offering 10 prints at £5,000, YellowKorner chooses to publish 500 at £100. With galleries in Europe and in the United States, YellowKorner presents a wide panorama of contemporary photography worldwide. Each of the galleries responds to the primary demand of YellowKorner's founders: to make these exhibition spaces a place for the public and artists to meet and exchange ideas, places of culture. To do this, the galleries organise events, previews where photographers and celebrities come in the spirit of sharing, lessons so that the public can discover photographic art. The Lunder Arts Center, which opened in 2015, is named for the Lunder family, whose visionary philanthropy made the construction of Lesley's new anchor for the arts community possible. Clark Gallery exhibits contemporary art in all media by emerging, mid-career and established artists from the Northeast and nationally. The gallery's exhibition program reflects a broad range of twentieth century ideas appealing to collectors and institutions with diverse interests. Clark Gallery is a full service contemporary art consulting company finding artwork for new and established collectors, museums, public and private corporations, museums, architecture firms, real estate agents, developers, non-profit art organizations, restaurants, interior decorators, art auctions and other art related organizations. To see additional images of artwork, or for information about purchasing artwork exhibited on this site contact Dana Salvo, Dawn Southworth, or Lisa Weber Greenberg. Among our well established services are in-home consultations, private exhibition previews, and space rental for corporate and charity events. The New Art Center supports the development of visual artists and cultivates a community that appreciates art. The New Art Center offers a supportive culture that takes art and artists seriously. We serve over 2,500 students annually in hundreds of classes and workshops. Our faculty includes some of the region’s most esteemed art educators. In a setting that is welcoming and conveniently located, we offer an inclusive, multi-generational approach to art education that has served children, teens and adults at all skill levels since 1977. We have one of the few mid-sized nonprofit exhibition spaces in New England, and attracts over 4,500 visitors annually. The New Art Center’s Curatorial Opportunity Program is well respected in New England’s visual arts community. This program is a unique vehicle for curators and artists to collaborate and present thoughtful, innovative concepts. It is the foundation of our Connections Program for gallery education. Independent Art Project (IAP) presents contemporary art by mid-career and established artists represented by galleries based in New England and New York City. IAP space operates as a project room providing a forum to show new works, work-in-progress, and curated exhibits. The public is encouraged to participate through educational programs and events – including artist residencies, salons and lectures. 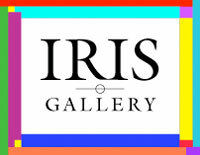 The Gallery was established in 2004 as a venue to encourage and explore a deeper interest and enjoyment for contemporary, modern, abstract and classical works of art. Our passion is to serve our clients along with a commitment to foster an environment where inspiration can flourish. Genres include portrait, figurative, landscape, still life, sculpture, realism, abstract, and encaustic works, in diversified forms of visual expression. We currently represent thirty established artists as well as emerging new artists, regionally and nationally recognized many with memberships in the Guild of Boston Artists, Copley Art Society, and the National Sculpture Society. 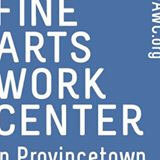 The Fine Arts Work Center in Provincetown is a nonprofit organization dedicated to encouraging the growth and development of emerging visual artists and writers and to restoring the year-round vitality of the historic art colony of Provincetown. The Work Center is internationally known for its acclaimed Fellowship residency program, summer workshop program, online writing classes, and MFA program in collaboration with MassArt. Founded in 1981 by Mack Lee, the Lee Gallery maintains an inventory of 19th and 20th century vintage photographs with three specific concentrations. Our nineteenth century focus is on American, British, and French photographs, particularly in the first three decades of photography, as well as the American Civil War and the exploration of the American West. A second focus is of the photographers of The Photo-Secession and the circle of Alfred Stieglitz . In addition, we deal in 20th century American masters of photography. The Lee Gallery joined AIPAD (The Association of International Photography Art Dealers) in 1984 and served on the board of directors for ten years. 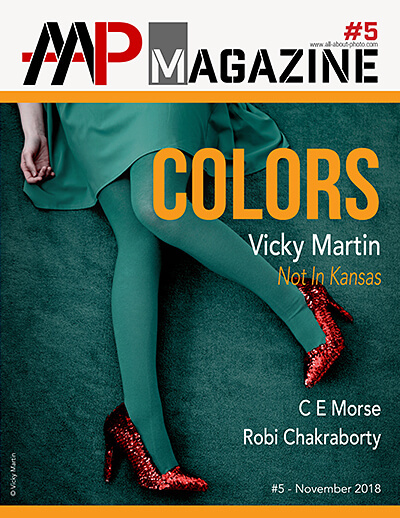 We exhibit at AIPAD's annual photography fair at The Armory, New York City.